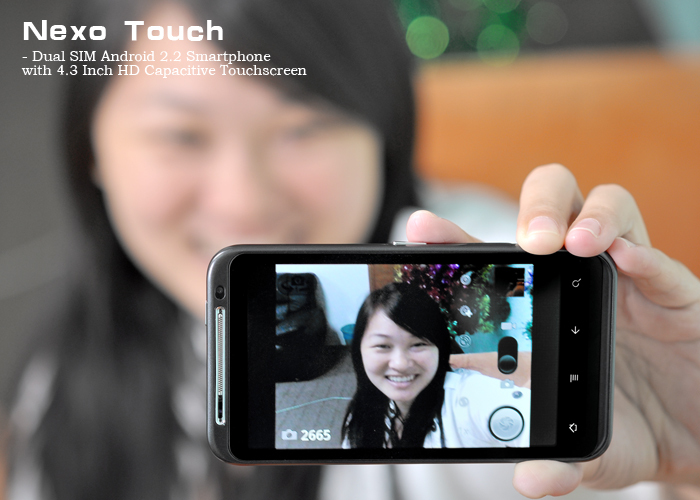 Nexo Touch is an Android Smartphone which has launched by Chinavasion. This handset is featured with Dual SIM and an unlocked version of it is available for purchase at $184.87. 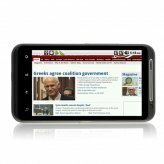 It is featured with a 4.3 inch multi-touch display with 800 x 480 resolutions however it runs on Android 2.2 Froyo OS platform. Nexo Touch Android Smartphone is powered by a 416MHz ARM 9 + 208MHz ARM 7 processor. The memory of this handset includes 256MB of RAM, and 512MB of ROM. It brings a microSD card slot which allows you to expand memory up to 16GB. The measured dimensions of Nexo Touch are 120 x 67 x 12 mm. As it is supporting Dual SIM card slot therefore you are free to maintain your personal and business contacts in a device. This Dual SIM phone has dual cameras; one is a 2MP camera while second is a 0.3 MP front facing snapper for video chat.Other specs of Nexo Touch are a 3.5mm headset jack, 802.11b/g WiFi and Bluetooth, and a 1500mAh battery.